Johnson's Baby Bedtime Powder - 200 gm | Multicolour | Clinically Proven. 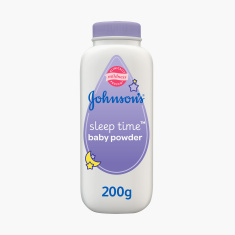 Maintain the softness of your baby's skin with the help of this baby powder. It reduces the effect of rubbing and chafing by absorbing the wetness and leaving the skin dry and smooth.